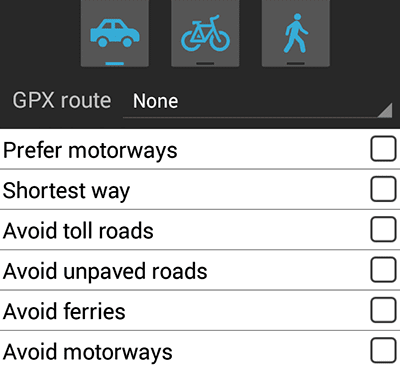 If you are looking for an offline navigation map for your Android device, you can try an app called "OSMAnd Maps & Navigation." Google Maps might be the number one mapping application, but most of its features like searching and getting directions are accessible only when you are online. Well, while travelling around the world, you might not always be able to go online. In such a case, you will find offline maps like OSMAnd Maps quite useful. When you use this app, you can download location data separately for different regions of the globe. With the free version, you are limited to downloading only 10 regions. It might be enough for most of us. You can always upgrade to get unlimited access. After you download a regional location data, you can use the map to get your location, navigate and get the best directions to a destination, view several points of interest and save your favorite locations. All this can be done while you are offline. That means you don't need to access mobile data every time you have to search for a location. Download and install the app from the Play Store. From Settings > Manage Map Files, select and download the regions that you need. After this, you are ready to use this application. Turn on your GPS if you need to use your location. Turn on your device's GPS. Tap the three lines (options menu) and tap on "Where am I?" Tap the three lines (option menu) and then tap on "Directions". Select the "From" and "To" waypoints. Just tap on the map and the best path is calculated. To enter a totally new from and to locations, tap the waypoint button present at the bottom of the app. To clear the direction search, tap the "X" button and go to Settings > Clear Destinations. To exit the app completely visit Settings (three lines) > Exit. Otherwise you might find your screen turning on randomly along with some voice feedback as the app runs in the background. We have just touched upon the basic navigation features of this powerful app. Click here for the official website with a full list of features. You can use several other features such as voice feedback, turn by turn navigation and navigation simulation. Depending upon the data available on the map, you can also find preferred driving, bicycling and walking roads. You can also recalculate the route to avoid toll roads, unpaved roads and the likes. This is a handy offline navigation app for your smartphone. You just need to turn on your GPS, make a region available offline and you're set to travel. First time and Google Map users might find it confusing at first. It doesn't have the friendliest design when it comes to new users. This app could integrate an introductory tutorial for basic users. But once you try the app yourself and understand the icons and buttons, you will be navigating like a pro.